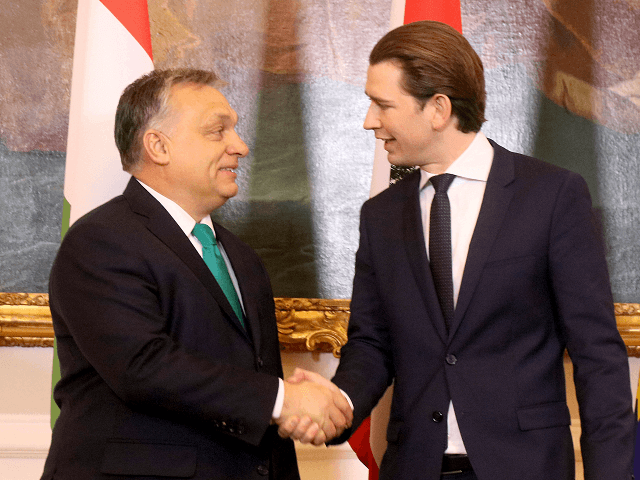 VIENNA (AP) – Austrian Chancellor Sebastian Kurz says he’s positioning his country as a bridge between the “Visegrad group” of eastern European nations and their western counterparts. Kurz said he agreed with the Visegrad countries – Czech Republic, Hungary, Poland and Slovakia – that a quota system for migrants was unworkable and on the need to strengthen external borders. Orban says Europe’s border-free travel zone can only work with “radical” external border protections like the fence he had constructed.